Jamal’s family vacation in London turns serious when he and his English friends find a coded message that reveals a kidnapping plot. While trying to foil the plan, Jamal himself gets kidnapped by his suspect. To solve the case (and save Jamal!) the team must search for clues in children’s books and newspapers. 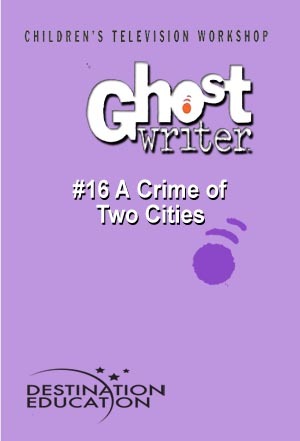 Ghostwriter provides a transatlantic link between London and the team of supersleuths in Brooklyn!